Amazon API Gateway is a fully managed service that makes it easy for developers to create, publish, maintain, monitor, and secure APIs at any scale. Customers of these APIs often want a website to learn and discover APIs that are available to them. These customers might include front-end developers, third-party customers, or internal system engineers. To produce such a website, we have created the API Gateway serverless developer portal. The API Gateway serverless developer portal (developer portal or portal, for short) is an application that you use to make your API Gateway APIs available to your customers by enabling self-service discovery of those APIs. Your customers can use the developer portal to browse API documentation, register for, and immediately receive their own API key that they can use to build applications, test published APIs, and monitor their own API usage. Over the past few months, the team has been hard at work contributing to the open source project, available on Github. The developer portal was relaunched on October 29, 2018, and the team will continue to push features and take customer feedback from the open source community. Today, we’re happy to highlight some key functionality of the new portal. Deploy – You can use the AWS Serverless Application Model (AWS SAM) or the AWS Serverless Application Repository to deploy the portal. Secure – The developer portal is secured using Cognito User Pools and can be federated from an on-premises directory or through social identities. Customize – You can use a custom domain and add your own logo, styling, and content to the portal. Explore – API consumers can quickly page through lists of APIs. When they find one they’re interested in, they can immediately see documentation on that API. Learn – API consumers might need to drill down deeper into an API to learn its details. They want to learn how to form requests and what they can expect as a response. Test – Through the developer portal, API consumers can get an API key and invoke the APIs directly. This enables developers to develop faster and with more confidence. The developer portal is a completely serverless application. It leverages Amazon API Gateway, Amazon Cognito User Pools, AWS Lambda, Amazon DynamoDB, and Amazon S3. Serverless architectures enable you to build and run applications without needing to provision, scale, and manage any servers. The developer portal is broken down in to multiple microservices, each with a distinct responsibility, as shown in the following image. Identity management for the developer portal is performed by Amazon Cognito and a Lambda function in the Login & Registration microservice. An Amazon Cognito User Pool is configured out of the box to enable users to register and login. Additionally, you can deploy the developer portal to use a UI hosted by Amazon Cognito, which you can customize to match your style and branding. Requests are routed to static content served from Amazon S3 and built using React. The React app communicates to the Lambda backend via API Gateway. The Lambda function is built using the aws-serverless-express library and contains the business logic behind the APIs. The business logic of the web application queries and add data to the API Key Creation and Catalog Update microservices. To maintain the API catalog, the Catalog Update microservice uses an S3 bucket and a Lambda function. When an API’s Swagger file is added or removed from the bucket, the Lambda function triggers and maintains the API catalog by updating the catalog.json file in the root of the S3 bucket. To manage the mapping between API keys and customers, the application uses the API Key Creation microservice. The service updates API Gateway with API key creations or deletions and then stores the results in a DynamoDB table that maps customers to API keys. You can deploy the developer portal using AWS SAM, the AWS SAM CLI, or the AWS Serverless Application Repository. To deploy with AWS SAM, you can simply clone the repository and then deploy the application using two commands from your CLI. 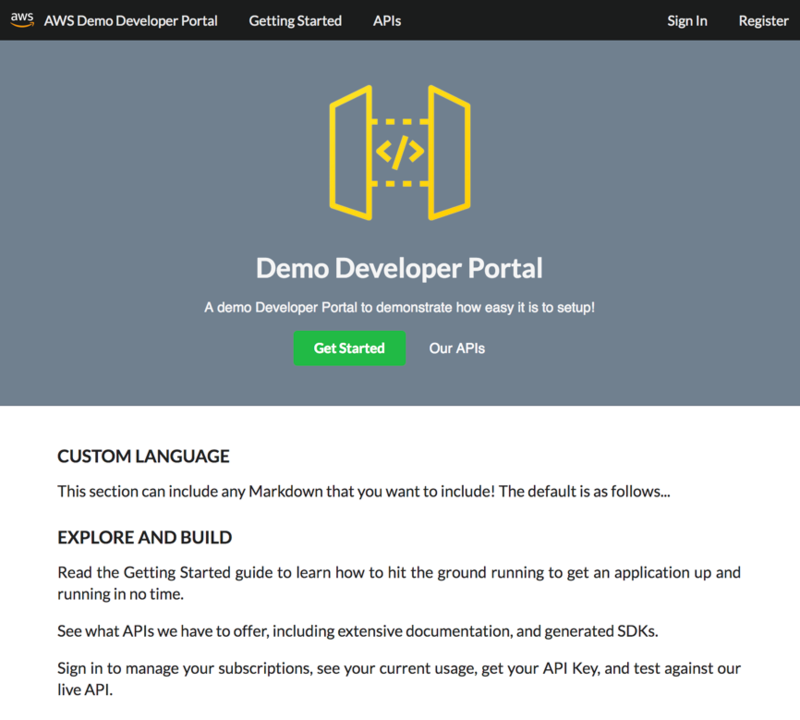 For detailed instructions for getting started with the portal, see Use the Serverless Developer Portal to Catalog Your API Gateway APIs in the Amazon API Gateway Developer Guide. 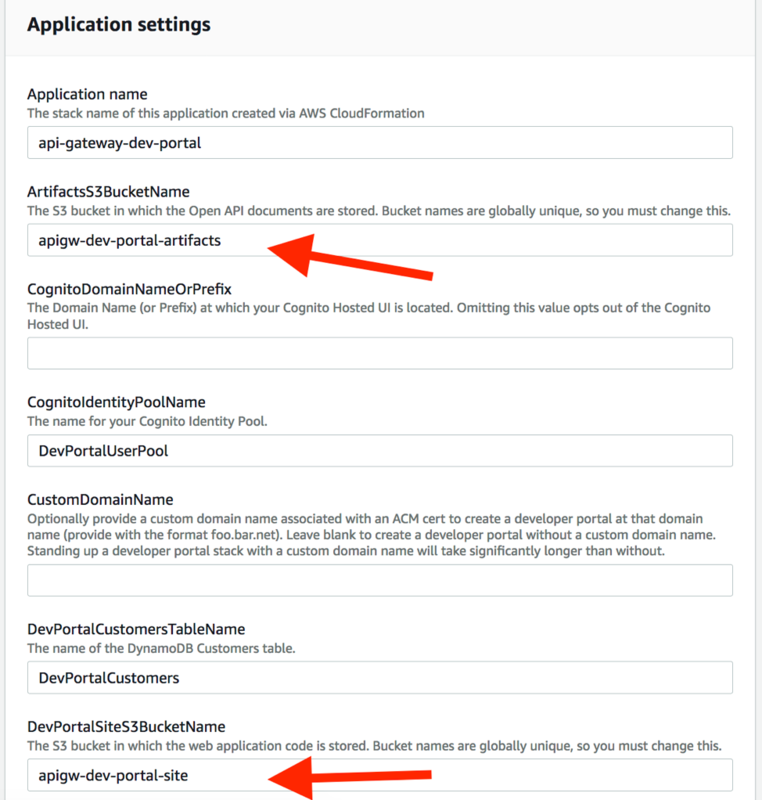 Navigate to the api-gateway-dev-portal application and choose Deploy in the top right. On the Review page, for ArtifactsS3BucketName and DevPortalSiteS3BucketName, enter globally unique names. Both buckets are created for you. To deploy the application with these settings, choose Deploy. After the stack is complete, get the developer portal URL by choosing View CloudFormation Stack. Under Outputs, choose the URL in Value. The URL opens in your browser. You now have your own serverless developer portal application that is deployed and ready to use. 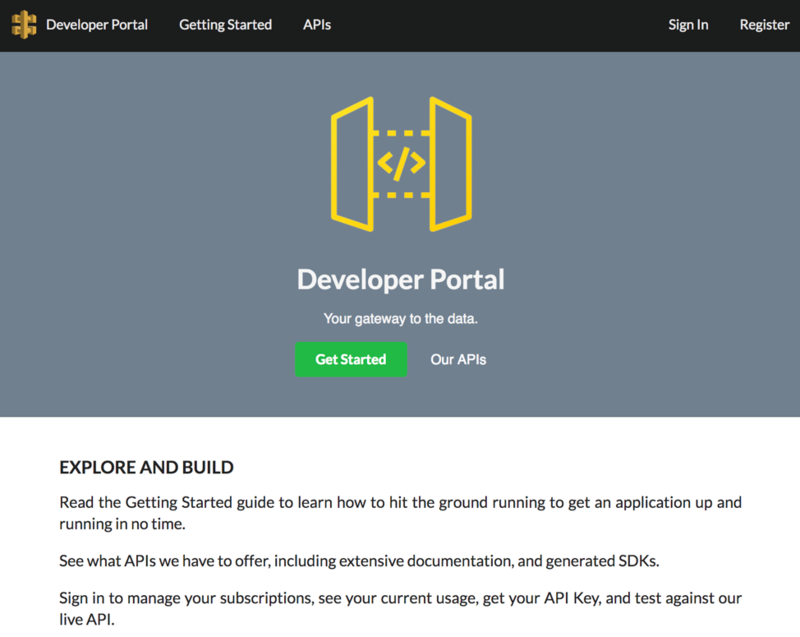 With the developer portal application deployed, you can publish your own API to the portal. 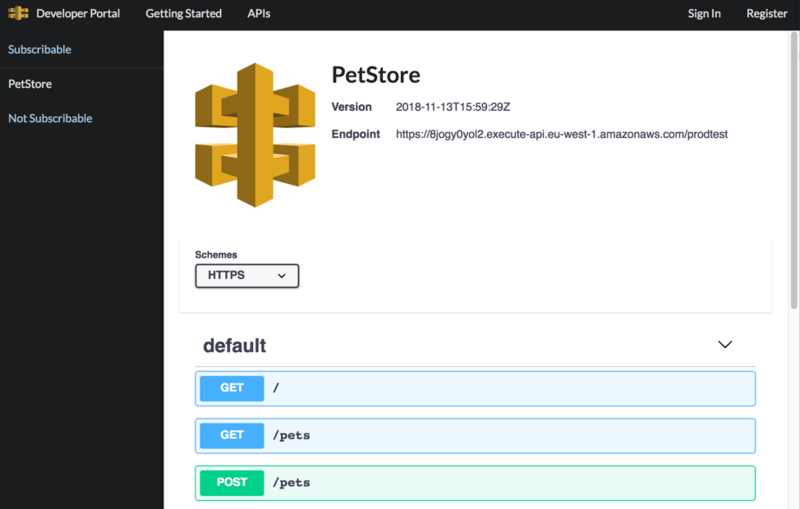 Create the PetStore API, which is available as a sample API in Amazon API Gateway. The API must be created and deployed and include a stage. Create a Usage Plan, which is required so that API consumers can create API keys in the developer portal. The API key is used to test actual API calls. 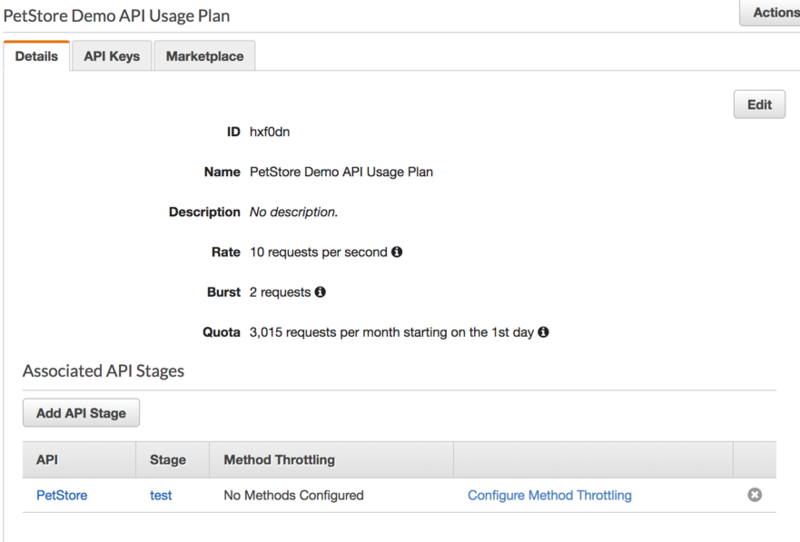 On the API Gateway console, navigate to the Stages section of your API. For Export as Swagger + API Gateway Extensions, choose JSON. Save the file with the following format: apiId_stageName.json. Upload the file to the S3 bucket dedicated for artifacts in the catalog path. In this post, the bucket is named apigw-dev-portal-artifacts. To perform the upload, run the following command. Uploading the file to the artifacts bucket with a catalog/ key prefix automatically makes it appear in the developer portal. This might be familiar. It’s your PetStore API documentation displayed in the OpenAPI format. With an API deployed, you’re ready to customize the portal’s look and feel. Adding a customer’s own look and feel to the developer portal is easy, and it creates a great user experience. You can customize the domain name, text, logo, and styling. For a more thorough walkthrough of customizable components, see Customization in the GitHub project. Let’s walk through a few customizations to make your developer portal more familiar to your API consumers. To customize logos, images, or content, you need to modify the contents of the your-prefix-portal-static-assets S3 bucket. You can edit files using the CLI or the AWS Management Console. Start customizing the portal by using the console to upload a new logo in the navigation bar. Upload the new logo to your bucket with a key named custom-content/nav-logo.png. Use the command line to copy the image directly to the S3 bucket location. Modify object permissions so that the file is readable by everyone. Next, make sure that the text of the developer portal welcomes your pet-friendly customer base. The YAML files in the static assets bucket under /custom-content/content-fragments/ determine the portal’s text content. On the AWS Management Console, navigate to the website content S3 bucket and then navigate to /custom-content/content-fragments/. Finally, many customers want to give the portal a domain name that they own and control. Use AWS Certificate Manager to request and verify a managed certificate for your custom domain name. For more information, see Request a Public Certificate in the AWS Certificate Manager User Guide. Copy the Amazon Resource Name (ARN) so that you can pass it to the developer portal deployment process. That process is now includes the certificate ARN and a property named UseRoute53Nameservers. If the property is set to true, the template creates a hosted zone and record set in Amazon Route 53 for you. If the property is set to false, the template expects you to use your own name server hosting. If you deployed using the AWS Serverless Application Repository, navigate to the Application page and deploy the application along with the certificate ARN. After the developer portal is deployed and your CNAME record has been added, the website is accessible from the custom domain name as well as the new Amazon CloudFront URL. Customizing the logo, text content, and domain name are great tools to make the developer portal feel like an internally developed application. In this walkthrough, you completely changed the portal’s appearance to enable developers and API consumers to discover and browse APIs. The developer portal is available to use right away. Support and feature enhancements are tracked in the public GitHub. You can contribute to the project by following the Code of Conduct and Contributing guides. The project is open-sourced under the Amazon Open Source Code of Conduct. We plan to continue to add functionality and listen to customer feedback. We can’t wait to see what customers build with API Gateway and the API Gateway serverless developer portal.